Jabulani Hadebe was born and bred in a small town named “Bergville” in Kwazulu Natal. Known to his fans as “Sjava Ka Jama”, the proudly Zulu youngster is a great exemplar of true artistry - having trusted his passion for the arts from childhood and actively pursuing a career within the entertainment industry. The multi-facited artist was first known for his acting and musical compositions. He has acted on SA’s biggest soapies such as Generations, Zone 14, 7de laan, Soul City and the controversial Gugu no Andile. His acting skills were awarded with a SAFTA award nomination in 2009. Following this achievement, Sjava’s acting career catapulted to great heights as he was selected as part of the judging panel for the SAFTA wards for 2 consecutive years. Sjava’s truest artistic expression is in music and over the years he has created jingles for films and TV shows such as Kilm, Jika majika (#1 dance show in SA) and Psalted (gospel show on SABC-2). In further pursuing his musical aspirations Sjava has worked and been influenced by likes of Boom Shaka, Soweto, Thandiswa Mazwai Ntando, Busi Mhlongo, Jabu Khanyile and Andy Sherman (Ireland), Wikki why -T (Germany) were his first break internationally. Sjava recently featured on Miss Pru’s hit single “Ameni” which also features the Ambitiouz Entertainment family of artists. His prominent feature and hook on the chorus is much appreciated by fans at festivals as they sing along. 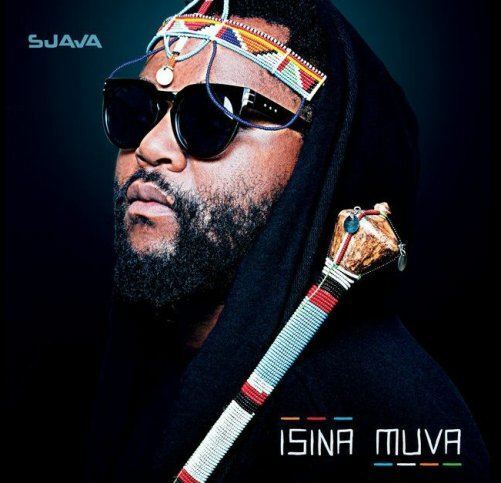 Sjava ka Jama released his debut single titled “Ekseni” in April 2016; trending on twitter that same morning of release and reaching over 200 000 free-downloads. The hit single is inspired by a famous gospel song with a twist, - It’s a celebration of love. The sound expresses a young and fresh approach to African pop inspired by a love for traditional music. Sjava recently debuted Ekseni video exclusively on Live Amp. The 80’s inspired video received great reviews from fans and the industry at large. Behind the production of “Ekseni” is the talented producer “Ruff”, whom is behind the massive hits “Roll-up”, Pearl Thusi and Washa, it’s no doubt that this will be another great hit. “No words can express how blessed I feel. I look forward to creating more music to share with the continent”, says Sjava ka Jama”.